Women To Save The Cuban? 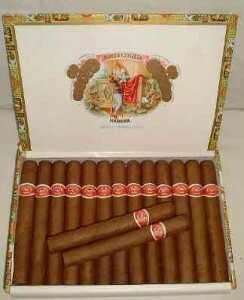 Sales of Cuban cigars are fallingâ€¦not drastically, but enough to worry Cuban cigar manufacturers. There is no question about Cubans being one of the most sought after cigars in the world, but we also know that there are many factors contributing to lagging sales. The United States still considers them contraband. Smoking bans are in effect all over the world. The worldwide economic problem has affected the industry. The overall result is an 8 percent drop in sales in 2009. What is the response of the Cuban cigar industry? Adapt and target a new market! And surprisingly, they are now looking to the female of the species to save their product. Habanos S.A. have come up with a new cigar dubbed Julieta. 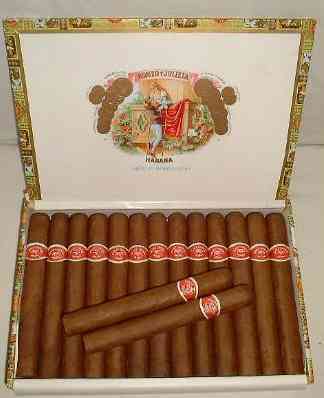 It is smaller and milder as compared to the renowned Romeo y Julieta cigar. Obviously, the Julieta is targeting women as its main customers. Women now make up only 5 to 10 percent of customers for Habanos, the worldwide distributor of Cuban cigars, marketing director Ana Lopez told a news conference kicking off the annual Habanos cigar festival. The Julieta is an attempt to overcome perceptions among women that Cuban cigars are made up of “only strong tobacco for men,” she said. The search for new markets is needed because even though Cuban cigars are considered the world’s finest, sales are slipping with the rise of anti-smoking laws around the world, said Habanos vice president Manuel Garcia.